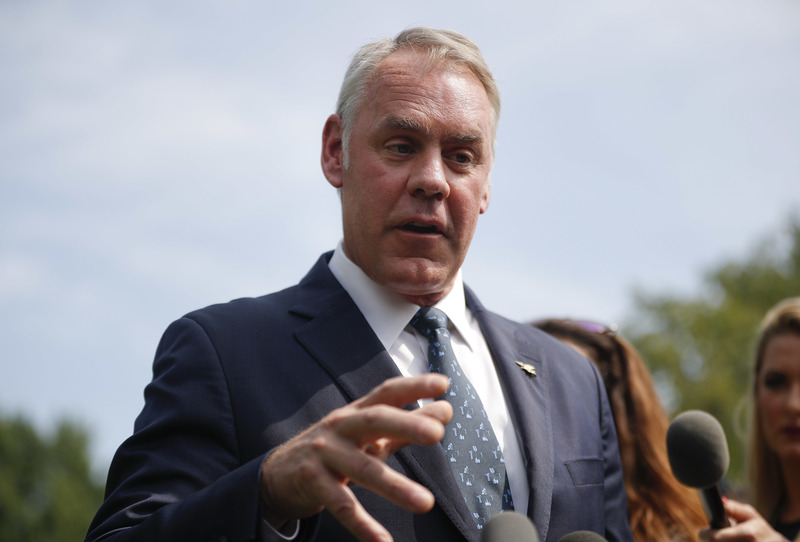 (CN) – If what happened Friday is any indication, the relationship between the top Democrat on the House Natural Resources Committee and Interior Secretary Ryan Zinke will be contentious to say the least. Rep. Raul Grijalva, D-Ariz., who is likely to lead the House committee charged with oversight of the Department of Interior in the new Congress, wrote an opinion piece in USA Today on Friday which called on Zinke to resign due to numerous ethics scandals. Grijalva wrote of “Zinke’s ethical and managerial failings” as questions continue to swirl around a land deal involving oil company executives and a land developer looking to build on parcels adjacent to land owned by Zinke and his wife. Zinke hit back Friday with personal insults, calling Grijalva a drunk and accusing him of using taxpayer funds to cover up hostile behavior. Grijalva didn’t respond directly to Zinke’s tweet, but did release a statement of his own. “The American people know who I’m here to serve, and they know in whose interests I’m acting. They don’t know the same about Secretary Zinke,” Grijalva said. The back-and-forth is a preview of what may transpire once the new Congress commences work in early January. While the Democrats in the House are expected to use their new-found control to launch various oversight investigations into past and present business ties of President Donald Trump – particularly those involving Russia and Saudi Arabia – many of the ethics scandals that have plagued Zinke could be pursued as well. The development in Zinke’s hometown of Whitefish, Montana, has been proposed by a developer named Casey Malmquist and is financially backed by David Lesar, the CEO of the oil services firm Haliburton. Records obtained by Politico show Zinke has met with both men since taking office and has also reached out to them in writing. Besides owning land next to the proposed project, a foundation Zinke used to run for Congress and which is now run by his wife owns property there as well. The Interior Department Inspector General has recently referred an investigation into Zinke to the U.S. Department of Justice, an ill omen for Zinke as he has had as many 17 formal probes into his actions or those of his office in the past two years. Those investigations include a look at Zinke’s block of a tribal casino after meeting with lobbyists from MGM, his announcement of plans to encourage offshore drilling everywhere but in Florida – which was widely viewed as a favor to political ally – and into whether he spent $139,000 in taxpayer funds for office doors. Zinke has repeatedly maintained no wrongdoing occurred and says most of the investigations are a political witch hunt by Democrats furious over his success in reducing regulation and allowing more oil and gas development in public lands. But Grijalva said policies that put resource extraction and private profit over the ecological and recreational integrity of public lands are just as troubling as the potential ethical lapses of the Interior Secretary. Zinke’s retort, which carried all the hallmarks of the type of rhetoric preferred by Trump, appears to refer to a report in the Washington Times that Grijalva arranged a $48,000 severance package for a female aide who reportedly agreed to keep quiet about the congressman’s tendency to drink and engage in aggressive behavior. The bad blood between Grijalva and Zinke will likely intensify in the coming year if Grijalva take takes the gavel as the head of the Natural Resources Committee with subpoena power and the ability to investigate Zinke and his office.